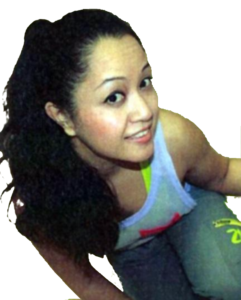 ZUMBA Fitness with Jaxs – Party Yourself Into Shape! Dancing and performing has always been my passion since I was a little girl. 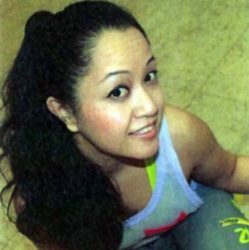 I have performed and trained in the ancient art of Hula and Polynesian dance, Filipino Folklore and the fundamentals of Latin, Jazz, Ballet and Modern. My experience gave me opportunities to travel and participate in dance festivals around Europe, and North America which channelled an international zest for music and dance styes. Fitness has also been an important part of my lifestyle. I enjoy Yoga, working up a sweat in Boxing class, or go on a relaxing run. When I discovered Zumba in 2012 I became hooked and immediately trained to receive my license to teach. Zumba has allowed me to share my love of fitness and my passion for dance with my community,friends and family, helping them along their fitness path. Zumba utilizes the principles of interval training and resistance training to maximize caloric output, fat burning and complete body toning through easy to follow dance moves. My classes are care free energizing and designed where you will stay motivated and work up a sweat. It’s like a dance party and exercise in disguise! So come out, dance and party with me!